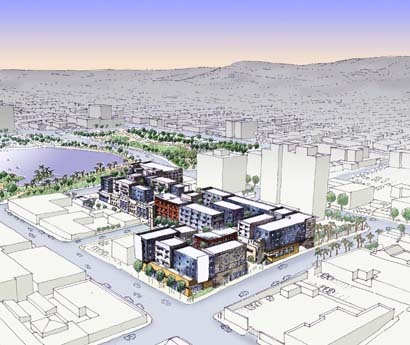 Reinvigorating the Westlake neighborhood with a transit-oriented, mixed-income, mixed-use approach. Provide a new nucleus for a historic community by creating a mixed-use, mixed-income, pedestrian-friendly development—all on top of an existing subway station. 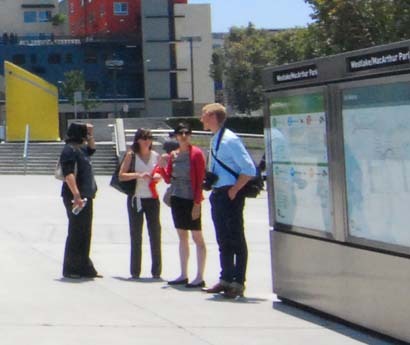 Collaborate with public-sector, private-sector, and neighborhood organizations to create a vibrant public space that meshes seamlessly with both the existing neighborhood and a local public transit hub. 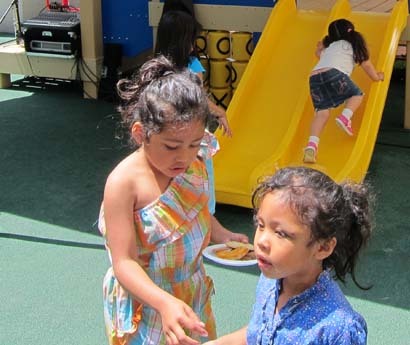 Torti Gallas created a center around which the Westlake neighborhood could thrive. 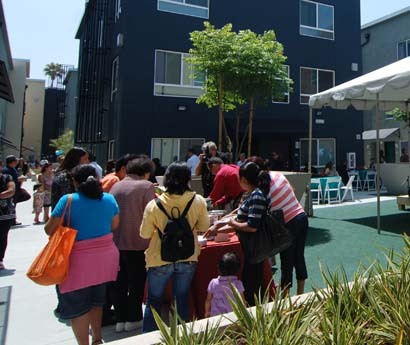 MacArthur Park was a finalist for the 2013 AIA/HUD Secretary’s Award. 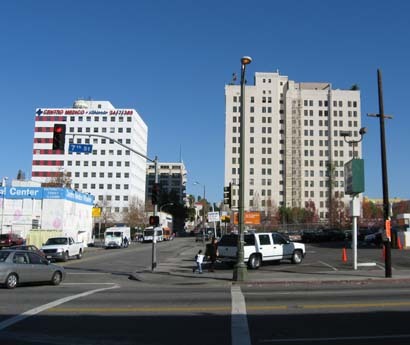 One of the most densely populated neighborhoods in Los Angeles, Westlake was one of the first communities west of downtown to see significant development. But the neighborhood’s fortunes began to decline along with the city’s streetcar system, and by the 1980s, Westlake had fallen into poverty and disrepair. Through thick and thin, the heart of Westlake has always been MacArthur Park (formerly Westlake Park). Originally a swamp, the park reached its zenith as a luxury destination in the early 1900s and its nadir as a center of gang violence in the mid-1980s. Starting in 2002, local business, government, and community leaders took a stand. They increased community policing, spurred small-business investment, and brought the park’s iconic paddleboats back for public use. Torti Gallas + Partners was asked to write the next chapter in the story of MacArthur Park’s renaissance. 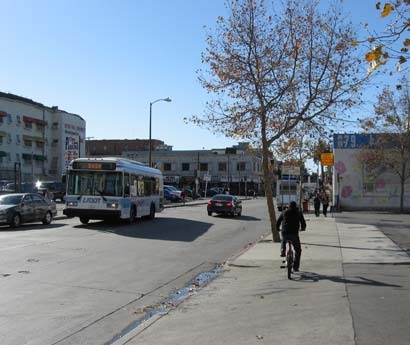 We were tasked with devising a solution that included attractive retail spaces along 7th Street and Westlake Avenue, a blend of mixed-income housing options, and 100 public parking spaces for Metro commuters. The site itself presented a unique engineering challenge, since the Metro subway tunnel was too shallow to accommodate subterranean parking. Working alongside our partners, we devised a solution that not only improved the Westlake neighborhood but also served as a blueprint for the future of Los Angeles. Our process always begins with listening. We began ongoing conversations with municipal planners, local leaders, and community groups to better understand the needs of the MacArthur Park community and how the community would integrate with the surrounding city. This project included a significant affordable housing component, and we were able to use federal tax credits provided by the American Recovery and Reinvestment Act to leverage additional private- and public-sector investment. With financing secured and objectives defined, we moved forward with our initial planning. We wanted the new development to blend seamlessly with the existing aesthetics of the neighborhood, and we drew up on traditional California courtyards for inspiration. Each home would enjoy natural ventilation and its own front door. We wanted the new development to blend seamlessly with the existing aesthetics of the neighborhood, and we drew up on traditional California courtyards for inspiration. Each home would enjoy natural ventilation and its own front door. 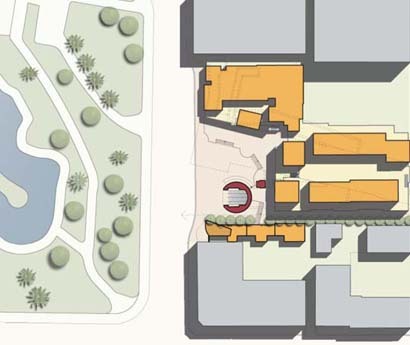 Our designs would blend the architectural vernacular of California’s historic missions with state-of-the-art building materials and techniques. The adjacent subway station was both a blessing and a challenge. Its proximity meant it would be easier to attract tenants for both our ground-floor retail space and MacArthur Park’s new housing—but the shallow depth of the subway tunnel also precluded subterranean designs, and the line’s heavy ridership made station closures infeasible. In order to provide the necessary parking for residents, shoppers, and commuters, we designed two above-ground parking garages that would act as platforms on which our other structures could be built. Our designs redefined the possible for urban infill, transit-oriented, and mixed-income developments. 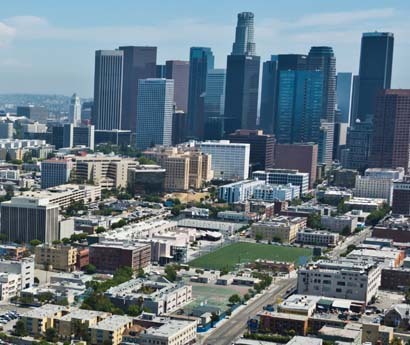 MacArthur Park was a Finalist in the Urban Land Institute’s Global Awards for Excellence Program in 2013, and we created a center around which the Westlake neighborhood could thrive. We were able to capture the benefits of gentrification while mitigating the negative repercussions of neighborhood change. And we created houses that people were delighted to call home. Today, this part of Los Angeles is thriving—a far cry from the bad old days of the 1980s. 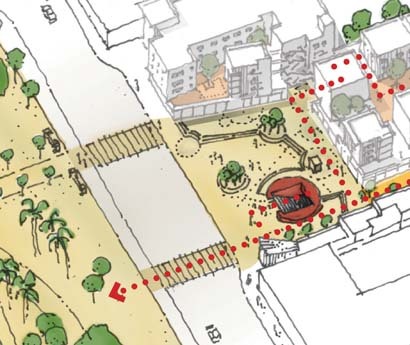 Avoiding the mistakes of previous generations of Angelino development, Torti Gallas + Partners’ design at MacArthur Park emphasizes walkability, connection to the streetscape, and human-scale designs that encourage the development of a vibrant and joyful neighborhood.